There is a never ending controversy, of where does the Bible stand on the reality of other worlds, or planets, or other bodies in space. There is also an ongoing controversy, according to Gods word, if there are other beings, other then Angelic, and humankind, that exist, and that God created. from many other source’s for a long time. So just what does Gods word have to say about all this? Is there really anything in the Bible at all, that tells us, that life exists beyond this world? Well, I have some very astonishing news for you. I am writing this report, based ONLY ON BIBLICAL findings. found. I guess I would say, more then shocked. I was perplexed. eye’s. Just as clear as a bell. And I want those of you reading this, to know, I am not going to enter in, to my own beliefs, but I will go strictly by the WORD OF GOD, and the ORIGINAL HEBREW. Now, I don’t think, that we could go any further back then the original Hebrew, to get the full meaning and interpretation of Gods word. Unless, there is some other books, written, that we are not aware of. The only thing that I will do, in my own words, is to break down the several area’s, I want the readers to think about, and see the scripture to back in up, including the interpretation, from the original Hebrew scrolls. Along with Strongs Exhaustive Concordance). for the morning or day). “Shamayin” meaning: speaking about Gods heaven, a specific place. according to the Hebrew interpretation, means that “Heaven”, is sky! BEYOND THE SKY ABOVE THE EARTH”. and worshipped HIM (GOD) who live forever. “taam”, refers also to man as a creature. WOW! 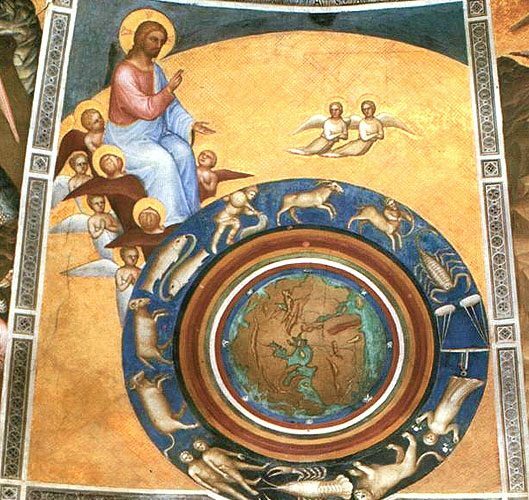 DID GOD MAKE OTHER PLANETS, WORLDS? In Genesis 2:4 “This is the history of the HEAVENS and the EARTH when they were CREATED, in the day that the Lord God made the earth and the HEAVENS! The above scripture, does not use the word HEAVENS, to describe Gods particular domain, or his Heaven, which Heaven, the word is also used. But in this scripture, according the original Hebrew, HEAVENS HAS THIS MEANING: celestial bodies (which in todays terminology, means stars, planets, asteroids, moons, etc.) THERE YOU HAVE IT! So we know, by this one scripture alone, that Gods word is speaking about outerspace, beyond the FIRMAMENT, (SKY). (Thank you Moses for doing your homework, and listening to the word of God!) And the word HEAVENS, which is plural, means more then one HEAVEN. But again, the way the word Heaven is being used in this scripture, as according to the original Hebrew, means CELESTIAL BODIES IN PLURAL, meaning MANY! Wow! And double Wow! Please keep in mind, this is not my interpretations. the interpretation, from the oldest known source of Gods word. Hebrew, then who am I , to dispute this knowledge and word of God! Wow! This was almost one of those painless Bible studies, you here about! LOL! Seriously folks! The word of God is the word of God. We can alter the Bible in the way we want it to speak to us, or we can read it and see what it really says, and except it. I do often use the original interpretations of the ancient Hebrew. There is no better interpretation to go into, then that. AFter all, that is where it all started with God. I hope, this has shed some light on an extremely controversial subject, and one that has cause unending arguements, especially between Christians and Christian church’s. Yes, God does have a lot to say, about other worlds, which the Bible states, in Genesis, HE CREATED (GOD), as well as other beings, including the angels. Oh! I forgot to mention about the word HOST! In the original Hebrew, the word Host, means a mighty army, battle, prepared for war. But, it is a separate host of beings, other then Gods angels. They may be angels, but the HOSTS, are and were set aside by GOD, as for one purpose, to be GODS ARMY! Wow! I like that! There is a prepared ARMY of God, that is waiting and ready, to FIGHT FOR GOD! As always, I have always told people, that they can go and check out, any words I say, or what I have preached or taught. report, my findings, came from the Bible, and the original Hebrew. Other then that, please forgive me for my often bad spelling and any typos you may have caught. word of God, just as I did. Posted in ReligionTagged God, Bible, Hebrew, Moses, Genesis, Firmament, Authorship of the Bible, Heavencomment1 Comment on The Bible speaks of other planets, and other Beings!